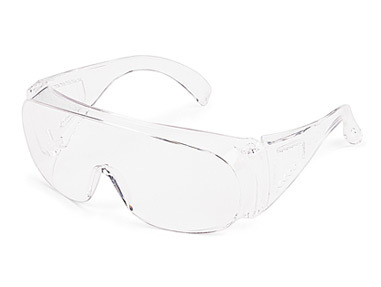 Classic Utility visitor spectacles are an uncoated, economical solution for plant guests who need one-time-use eye protection. 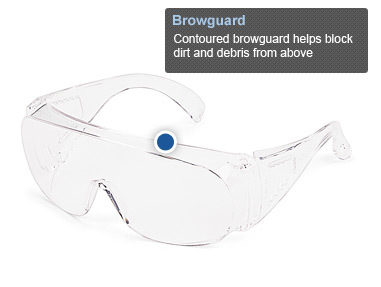 Classic style combines a panoramic view with durable impact protection. 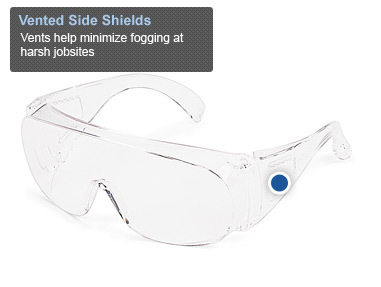 Large, vented side shields help minimize fogging and provide extra coverage. 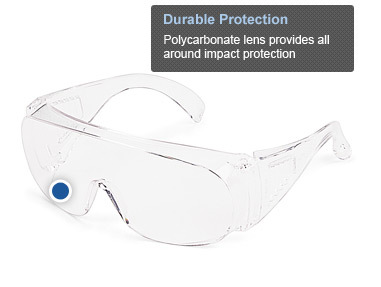 Uncoated lenses for cost-effective options. Meet the ANSI Z87.1+ and CSA Z94.3 standards. 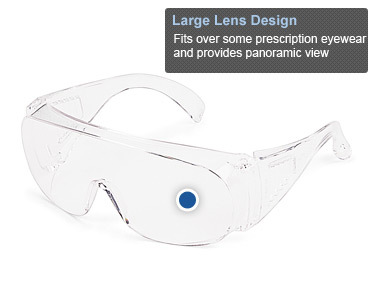 Part # Temples/Lens Std. Pkg.